Author’s preface: I originally gave this presentation in August 2002 at the LDS FAIR conference held in Orem, Utah. 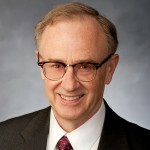 A transcript of this paper, based on the 2002 version, appears online at www.fairmormon.org. Since then I have published updated versions of the first half of that original presentation. The most recent history of the Book of Mormon critical text project can be found in my article “The Original Text of the Book of Mormon and its Publication by Yale University Press”, published in 2013 in Interpreter: A Journal of Mormon Scripture, volume 7, pages 57-96. Until now, I have not published a printed version of the second half of my original presentation, “Changes in the Book of Mormon”. Abstract: In that part of the original article (here presented with some minor editing), I first describe the different kinds of changes that have occurred in the Book of Mormon text over the years and provide a fairly accurate number for how many places the text shows textual variation. Then I turn to five changes in the text (“the five chestnuts”) that critics of the Book of Mormon continually refer to. At the conclusion of the original article, I provide some specific numbers for the different types of changes in the history of the Book of Mormon text, including the number of changes introduced in The Book of Mormon: The Earliest Text, the definitive scholarly edition of the Book of Mormon, published in 2009 by Yale University Press. But even this number of variants, 105,000, is misleading. Suppose you have an example where the manuscripts have no punctuation, and the 1830 typesetter put in a semicolon and a later edition made it a colon; then even later the colon was made a period, but finally it was changed back to a semicolon. All of these changes are listed under one variant; it’s a single place of variation, but within that variant there could be 4 or 5 changes. So the real issue, borrowing from Proverbs, is “with all thy counting get understanding”. Let us begin with the kinds of variants. The first one deals with bookkeeping or referencing: namely, the chapter and verse numbers. The word chapter and the chapter numbers are not original to the text of the Book of Mormon. As Joseph Smith was dictating, he apparently could see the end of a section; and whenever he would see that, he would tell the scribe to write the word chapter, which the scribe did. The level of ink flow for the word chapter is typically unchanged from the surrounding ink flow. But the numbers for the chapters were added later, almost always with heavier ink flow. In some cases, the wrong number was inserted. And in other cases, the word chapter ended up being put in the wrong place. For instance, when a section would end when a new book began, the word chapter was typically written at the very beginning of the book, right before the title of the book. Of course, this kind of error in the placement of chapter had to be corrected. And ultimately, versification was applied to the chapters. It turns out that there are five versification systems in the history of the text. The RLDS editions have three of them, a different one in each of their first three editions (1874, 1892, and 1908). With each of these editions, the RLDS editors basically broke up their verses into smaller verses. The 1874 RLDS system, however, follows the 1852 LDS edition, for which Franklin Richards and his brother Samuel numbered the long paragraphs that derive from the paragraphs that were originally determined by the 1830 typesetter. In the 1879 LDS edition, however, Orson Pratt changed the original chapter system. He basically broke up the originally much longer chapters, so we end up with more than twice as many chapters as the original text had. And then he divided these new chapters into verses. The LDS text has retained Orson Pratt’s revised system of chapters and its versification. All of these changes in chapter breaks and the addition of verse numbers (five different ones) have led to a considerable amount of variation. And we have to count them all as changes in the text since the original text didn’t have the word chapter or any chapter numbering, nor was there any versification. We now turn to the accidentals. The term accidental is one that comes from Aristotle; it refers to distinctions which do not change the essence of something. In textual studies, accidentals refer to variants that change the form of the text but not the actual words (which are called substantives). Under the class of accidentals we include paragraphing, punctuation, the spelling of common English words (but not names), and capitalization. Paragraphing: Paragraphing was added in the 1830 edition. The paragraphs have, in a sense, been replaced by versification but that is only because the typesetters have treated each verse as its own little paragraph, with the result that the text is continually being broken up, which makes it difficult to read the text in a flowing manner. One could insert the verse numbers within larger paragraphs, but this has never been done in any of the standard editions of the Book of Mormon. Punctuation: For the most part, punctuation should be treated as an accidental. You can basically read the Book of Mormon text without punctuation. In the original manuscript, we find evidence for only a few dashes in the book summaries (or prefaces); otherwise, there is no punctuation. The original text itself probably had no punctuation at all. The 1830 typesetter supplied the punctuation for the first edition. In a few places, his punctuation was probably wrong; some of these have been changed. But only rarely is there any substantive debate over whether the punctuation makes a real difference. The few places where the punctuation makes a difference in meaning should probably not be counted as accidentals. When a change in the punctuation makes a real difference in meaning, then we consider it under a different category, as a substantive change. But the vast majority of punctuation is merely accidental. And those who wish to count punctuation changes as changes in the text need to realize that every punctuation mark is a change because the original manuscript didn’t have any except for a few dashes and those have all been changed in the printed editions. So every punctuation mark in the Book of Mormon stands for a change. Already, we are way beyond 3,913 changes, and yet we haven’t got to many of any substance yet. Spelling of common English words: We have variant spellings in the manuscripts and in the editions, such as labor versus labour (plus one instance of labar in the printer’s manuscript) or center versus centre (plus some instances of senter and sentrein the manuscripts). The ampersand is typically used in the manuscripts but is always set as and or And in the printed editions. This substitution is a change in the accidentals. And etc was written as &C or &c in the manuscripts; so when it’s typeset as etc, that’s a change in the accidentals. And then we have misspellings, such as Oliver Cowdery’s intreague for intrigue and cept for kept. And we also count slips of the pen in the manuscripts as changes in the accidentals, such as Nephi being written as Nehior Nepi – or pass as pess or pss. And then, of course, there are lots of typos in the printed editions, especially in the earlier ones. Capitalization: There are many instances of variation in the capitalization. Some of the names were not always capitalized in the manuscripts. And we have considerable variation in the capitalization for common nouns in the manuscripts (such as river versus River). Over the years, editors have debated whether deseretshould be capitalized or not. And one of the scribes in the original manuscript wrote the first person singular pronoun I, even I, as lowercase i. In fact, this scribe just didn’t like capitalizing names either. And finally, we even have the question of whether a word should be in all caps or with regular capitalization (that is, with capitalization of only the first letter), such as when Jehovah occurs in the Isaiah quotation in 2 Nephi 22:2. All this variation in the accidentals clearly shows that the transmission of the text is human rather than inspired; it has all the signs of human transmission. But the original revelation to Joseph Smith, I would argue, shows that the specific words and phrases, although subject to variation in the accidentals, were controlled for. In contrast to the changes in accidentals, there are substantive changes, and these are the changes that should be counted. Under this category of substantives, we include changes in the actual words, including the forms of the words (such as singular versus plural for nouns, or present tense versus past tense for verbs), changes in phrases and sentences, and spelling changes that make a difference in the words. This last type includes names. Here are four names that the manuscripts are very clear should read differently than how they read in the current text: Gaddianton, Morionton, Zenoch, and Kishcumen (rather than Gadianton, Morianton, Zenock, and Kishkumen). In other words, Gaddianton has two d’s; Morionton has all o’s; Zenoch is like Enoch; and the original Kishcumen appears to be morphologically related to the name of the city Cumeni. Oliver Cowdery just kept misspelling Zenoch as Zenock in the printer’s manuscript, and ultimately the editions have ended up with ck rather than ch. And for some unknown reason, Oliver decided to change the three other names when he copied the text into the printer’s manuscript. Then there are also substantive spelling variants that involve homophones, cases where you have to figure out what word was intended. For instance, is the word rightor rite when the current text in Alma 43:45 refers to “their rites of worship”? Another homophone case involves straight versus strait: Is it the one with the gh or the one without? does the word mean ‘not crooked’ or ‘narrow’? Or how about travel versus travail? Oliver Cowdery pronounced both of them as travel. In fact, historically this is the common pronunciation for both words, and so we have to figure out in 2 Nephi 29:4 whether we have “the travels of the Jews” or “the travails of the Jews”. You can’t tell by the scribal spellings since the scribes mixed up all these homophonic pairs. Next we have changes involving grammatical usage. The Book of Mormon has basically been edited from dialectal or archaic English into standard English (although retaining its biblical styling) – from Geneva Road English into BYU English. To be sure, a small amount of this editing is unintentional, especially when it took place when copying from the original manuscript to the printer’s manuscript or when setting the 1830 edition from manuscript. But beginning with the 1837 edition, the grammatical editing was consciously done. It was an attempt to remove dialectal expressions that could be considered nonstandard, such as “they was angry with me” (Alma 9:32) and “and them that would not confess their sins … the same were not numbered among the people of the church” (Mosiah 26:36). The most significant type of grammatical change in the Book of Mormon has been to remove the Early Modern English that is characteristic of the King James Bible. The most prominent of these changes has been to replace which with who (or whom or that) when it refers to people. For instance, “our Father which art in heaven” was the original reading for the Lord’s Prayer in 3 Nephi 13:9, also the reading in the King James Bible (in Matthew 6:9), but this phrase was edited by Joseph Smith to “our Father who art in heaven” for the 1837 edition. This use of who, of course, is what we would expect in modern English, at least with respect to the relative pronoun. Similarly, because that was changed in the 1837 edition to simply because (for instance, in 1 Nephi 2:11: “they did murmur in many things against their father because that he was a visionary man”). The archaic use that after because is no longer standard, but it’s in the King James Bible (for instance, in Luke 1:7: “and they had no child because that Elisabeth was barren”). Further, instances of the historical present tense have been removed from the Book of Mormon, such as the many instances of original saith rather than said (for example, when Amulek and Zeezrom are debating each other in Alma 11). In the biblical narrative, especially in the New Testament, there are many examples of the historical present tense (as in Matthew 4:19: “and he saith unto them: follow me”). This usage gives an immediacy to the narrative, but examples of it were largely removed from the Book of Mormon in the editing for the 1837 edition. There are also many changes in phraseology. Earlier (in the first half of this presentation) I gave eight examples where the repeated a was omitted for conjoined adjectives (as in Omni 1:28, which originally read as “a strong and a mighty man”). Most of these examples involving changes in the phraseology were not the result of conscious editing. Nor would most of [Page 168]them end up in a Book of Mormon translation. In fact, most of the grammatical changes wouldn’t either. Very likely, the stylistic difference between which and who wouldn’t show up when translating from English to any other language. Such a language would specify the appropriate relative pronoun since the difference between which and who is not a difference in meaning. Of course, there are substantive changes that alter the meaning, such as the accidental change in 1 Nephi 12:18 of “the sword of the justice of the Eternal God” to “the word of the justice of the Eternal God”. Clearly this difference between sword and word would show up in translation, but this is about the most significant kind of change in meaning that one can find in the history of the Book of Mormon text. Finally, we can identify some of Joseph Smith’s substantive changes as clarifications. In his editing for both the 1837 and 1840 editions as well as for a third time in about 1842, Joseph Smith worked assiduously and carefully on the text for about the first 100 pages, but then the demands on his time apparently made it so that he could not continue doing the editing at that level of detail, and thus he fell back to doing a more pedestrian type of editing. At least for the two editions in 1837 and 1840, Joseph continued to edit, but more rapidly and restricting himself to removing the grammatical usage that would be clearly nonstandard. Here are two early clarifications that Joseph Smith made in his own hand in the printer’s manuscript when he edited the text for the 1837 edition. In 1 Nephi 2:6 he changed the word beside to the phrase “by the side of”, thus replacing “in a valley beside a river of water” with “in a valley by the side of a river of water”. Or in Lehi’s account of his dream of the tree of life, in 1 Nephi 8:4, Joseph added the phrase “in my dream”, thus changing “I saw a dark and dreary wilderness” with “I saw in my dream a dark and dreary wilderness”. Adding this phrase is not really necessary, but it’s a clarification just in case you don’t remember that Lehi was describing his dream. Now we come to the chestnuts, five groups of changes that everyone seems to worry about. Note, first of all, that there aren’t too many of these, especially when you compare the Book of Mormon text with other religious texts. The first one is the change in the 1837 edition of “the mother of God” to “the mother of the Son of God” (in 1 Nephi 11:18). With this first example, we can include three other instances in the first part of the text where Joseph Smith changed references from God to the Son of God – namely, in 1 Nephi 11:21, 1 Nephi 11:32, and 1 Nephi 13:40. I view these four changes as examples of clarification rather than doctrinal revision. They are found only in the first part of the text, that part where Joseph was inclined to clarify the phraseology. There are later passages where Joseph could have changed God to the Son of God, but he did not (as in Mosiah 16:15 and in Alma 11:38-39). Also with this group of changes we can add the change of Jesus Christ to the Messiah in 1 Nephi 12:18, another attempt at a clarification in the first part of the text. For all of these changes in referring to Christ, we can’t be absolutely sure what was in Joseph Smith’s mind. A lot of people have speculated regarding the theological or textual significance of these changes. Joseph made the changes, to be sure, but he didn’t leave any notes or explanation. Perhaps he didn’t like the Catholic sounding expression “the mother of God” in 1 Nephi 11:18 and that triggered the nearby changes to the other cases in 1 Nephi. In any event, I would argue that these changes are best interpreted as clarifications. The second chestnut is the change in 2 Nephi 30:6 of “a white and a delightsome people” to “a pure and a delightsome people”. There has been more ink shed (a mixed metaphor with some accuracy) on this one change than any other, and unfortunately most of the discussion has been an embarrassment. First of all, the textual evidence. This change from white to pure first [Page 170]appeared in the 1840 edition. We presume that it was made by Joseph Smith, but we can’t be sure. The change just shows up in the printed edition. It was probably not a typo or a misreading, simply because white and pure look so different. It was probably consciously done. In preparing the 1981 LDS edition, the Church Scriptures Committee considered the 1840 reading and decided to change the standard text from white to pure based on the reasonable assumption that the 1840 change was made by Joseph Smith. In my mind, it is quite clear that there was no political motivation for the 1981 change. The committee was not trying to remove racism from the Book of Mormon text. The reason for this is that there are eight passages they did not touch – other passages that quite clearly could be identified as making the same preference for white skin, yet none of these were removed or edited. I would presume that the Brethren – they’ve never said why – looked at the 1840 text and decided that it was Joseph Smith’s change – I think it probably was – and decided to follow that reading. It was a very conservative change and could hardly have been motivated by political considerations given the rest of the Book of Mormon text. We don’t have the original manuscript for 2 Nephi 30:6, but the internal evidence suggests that white is the original reading, mainly because the word white co-occurs with fair and delightsome elsewhere in the text. Moreover, white refers to skin color six times in the text. It is true that white also co-occurs with pure (four times) but only when referring to a state of heavenly perfection, as in the resurrection. Ultimately, we don’t know why the change was made by Joseph Smith in 2 Nephi 30:6. My belief is that Joseph could not figure out how Nephi’s descendants (“the remnant of our seed”) could become dark skinned, so Joseph proposed that they would become pure rather than white. The 1981 change, on the other hand, was probably made out of deference to Joseph’s apparent decision to make the change in the 1840 edition. [Page 171]The next chestnut appears to represent a scribal error, namely “the Son of the Only Begotten of the Father” (found as the earliest extant reading in Alma 5:48 and Alma 13:9). I suppose one could say that this difficult reading actually means that Jesus had offspring. In my mind, it’s probably a scribal error. The original manuscript is not extant for either of these readings. The printer’s manuscript is – and both readings are in the hand of the unknown scribe 2. I would argue that this scribe accidentally inserted an extra of in these two instances of “the Son / the Only Begotten of the Father”. Joseph Smith removed the extra of in both cases in the 1837 edition and, in my view, quite correctly. These are probably just simple scribal errors. The fourth chestnut involves the replacement of the name Benjamin with Mosiahin two places (in Mosiah 21:28 and Ether 4:1). Joseph Smith was apparently the one who changed the first instance (in the 1837 edition); Orson Pratt made the second one (in the 1849 edition). The problem has to do with how the chronology is interpreted in the book of Mosiah. The two original readings with Benjamin are very likely correct. Although Benjamin is unexpected, it appears that king Benjamin lived long enough to be still alive when Ammon and his men returned to Zarahemla with the people of king Limhi (in Mosiah 22). The last chestnut deals with the question of whether the brother of Jared was a polygamist. The plural reading is still in our current text for Ether 1:41, where the Lord, in speaking to the brother of Jared, refers to “thy families”. The original text, as found in the printer’s manuscript, basically reads that the brother of Jared had a family and Jared had a family, and that the brother of Jared had friends, each one with a family, and Jared also had friends, each one also with a family. The 1830 typesetter apparently let his eye glance down to the next manuscript line, with the result that he accidentally set thy family in the plural, as thy families. In other words, the plural reading for the brother of Jared is just a typo by the 1830 typesetter. The really sad aspect about this is that when the Church changes the reading back to the singular, there will be this outrage, this claim – absolutely false – that the Brethren are doing this in an attempt to remove polygamy from the text. This is perhaps one advantage for having an independent scholarly approach to the text of the Book of Mormon. The evidence is very clear that the actual text refers to the brother of Jared and his family – in the singular, not the plural. Errors have crept into the text, but no errors significantly interfere with either the message of the book or its doctrine. These textual errors have never prevented readers of the Book of Mormon from receiving their own personal witness of its truth – that is, every sincere reader. In fact, as I have pointed out, errors have been helpful in studying the Book of Mormon text. We have discovered the systematic nature of the text because of the occasional error. How many other cases of systematic phraseology have not yet been discovered because in those cases the transmission has been error free? The errors in transmission help us find these systematic readings. Ultimately, all of this worry over the number of changes is specious. There are many more variants per word in the New Testament text – and many more highly debated variants. Does this variation mean that the New Testament is false? that it is not God’s word because humans have made errors in its transmission? The word of God still comes through both the New Testament and the Book of Mormon despite the occasional errors in transmission. The following statistics are derived from my computerized collation of the two manuscripts of the Book of Mormon (the original and the printer’s manuscripts) and 20 standard [Page 173]editions of the Book of Mormon (fifteen LDS editions, from 1830 to 1981, the 1858 Wright edition, and four RLDS editions, from 1874 to 1953). This computerized collation will eventually be made available as volume 5 of the critical text of the Book of Mormon. The substantive changes in the history of the text are discussed in volume 4 of the critical text, Analysis of Textual Variants of the Book of Mormon, published from 2004 to 2009 in six parts by the Foundation for Ancient Research and Mormon Studies, now a part of the Neal A. Maxwell Institute for Religious Scholarship at Brigham Young University. A complete list of all the grammatical changes in the text will be found in volume 3 of the critical text, The History of the Text of the Book of Mormon, slated for publication in the next couple of years. The appendix to the 2009 Yale edition of the Book of Mormon contains a list of 719 of the most important changes in the history of the text. Thirty of the more recently discovered significant changes are discussed in my article “Some Textual Changes for a Scholarly Study of the Book of Mormon”, published in the December 2012 issue of BYU Studies, volume 51, number 4, pages 99-117. The manuscripts have no punctuation after them, but the 1830 typesetter placed a comma there. The comma was changed to a semicolon in the 1849 LDS edition and in the 1874 RLDS edition, while the typesetter for 1907 LDS edition accidentally set the semicolon as a colon. Clearly, the overall number of changes will exceed 105,000.